Tired of wasting time and money in stores? Defining your own style is not only about choosing the clothes and shoes that suit you. It’s also about paying attention to those little details which make all the difference, and which show us for who we really are. Perfume is one of these details. We women are just crazy about fragrances, right? Even men love them (although they would never dare admit it ;-). But for us girls, perfume is more than just a passion. It’s a veritable fashion accessory and, above all, a formidable weapon of seduction. Yes, I admit it. I’m prepared to do anything to charm my man. And being prepared for anything means choosing my fragrance with care. Did you know that smells are scientifically known to arouse certain emotions in humans? Like style, a scent is specific to your personality. It needs to be selected according to your character and tastes, the emotions it arouses and the message you want to portray. Straightforward, mysterious, bewitching or refined, it’s up to each person to find the fragrance which enhances their image. Each perfume must be worn as if it was created for you and you alone. You should assert the image it portrays. If you are a romantic soul who likes pastel colours and intimate evenings for two, a fine fragrance of floral notes could be your thing. You’re more of a bold and adventurous type? Oriental and spicy fragrances are perfect. Citrus fruits or marine notes better suit sporty girls who are always outdoors and active. 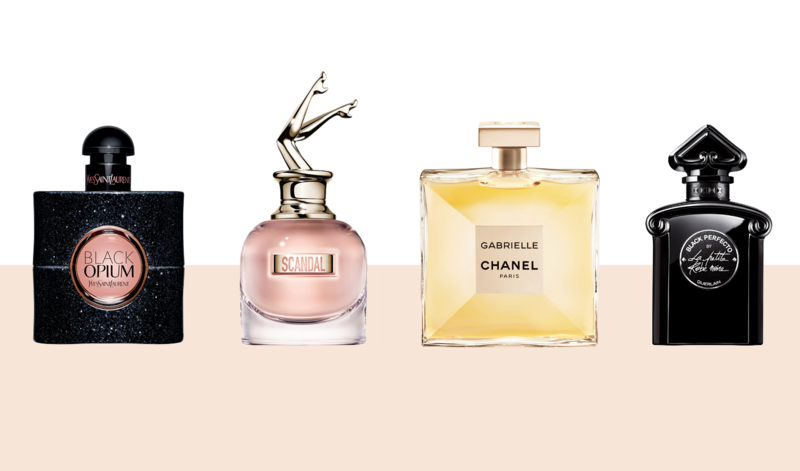 Are you the type to change your scent with the season? My advice is to opt for light fragrances in spring and summer as perfumes that are too strong or intense may come across as unpleasant on hot days, for you and for those around you. Do you want to be one of those girls who remains faithful to a single fragrance? About whom people say “Was she here? I can still smell her perfume…” If so, nothing is stopping you from seeking out your signature scent and wearing it all year round. What is sure, finding THE perfect perfume is one thing, using it wisely is another. Here again, it’s all about the detail. Definitely avoid pouring half the bottle on you before leaving for a party. Too much perfume overwhelms the senses. Better to delicately spray the parts of your body that you want to highlight and heat points, like the neck, ankles, behind the ears, navel, neckline and wrists. Don’t neglect elbows and knees either as they give off a scent with each movement you make. And of course, your hair. Although do opt for a mist spray which will be far less damaging for your tresses. Spray onto your clothes? Why not? But do avoid spraying onto synthetic fabrics. And if you have sensitive skin, don’t spray directly onto your skin: spray the fragrance in front of you and walk into the cloud of scent you’ve just created. Can you feel your senses awakening? Me too! Time to head for the fragrance section! And as Valentine’s Day is approaching, here are my four favourites of the moment. Let’s inspire you and choose the right one to seduce your men. Number one: Black Opium by Yves Saint Laurent. In second place, the current must-have: Gabrielle by Chanel. Next, Scandal by Jean-Paul Gautier. And finally, Black Perfecto from La Petite Robe Noire by Guerlain. Enjoy!